Summer is here and everyone is seemingly headed to the beach, taking some exotic cruise, or going to “Mickey World”. Perhaps you fall into the growing category of people who find it impossible either through time commitments or lack of monetary resources to take a full blown vacation. If you are in this category, don’t worry. There’s a lot of people just like you. Summer sports leagues, demanding jobs, and growing costs of travel are just a few reasons to keep it planted at home. Here are some ways you can spend your summer “staycation” in Nashville. If your family likes water there are lots of options here in Middle Tennessee. How about fishing or boating? You could rent a boat and go out on Percy Priest Lake or Center Hill Lake. These are both gorgeous lakes surrounded by one of a kind rolling Tennessee hills. Yes, Nashville is known for the Titans and Predators, but they don’t play during the summer. No worries, we still have baseball and arena football. Catch and exciting baseball game at the BRAND NEW Nashville Sounds ballpark! Like more of a fast paced game? Head over to Municipal Auditorium to catch a Nashville Venom arena football game! If you are a music lover then this is the city for you. Music is to Nashville what sunshine is to Florida. If you are more of the casual music fan that doesn’t care about headline shows, then head down to Broadway any night of the week. Obviously the weekends are more lively, but you can catch quality live music on Broadway anytime of the week. It’s one big street party. The new downtown Nashville Amphitheater will open this summer and the scheduled music acts will amaze you! Check out the full line-up here. 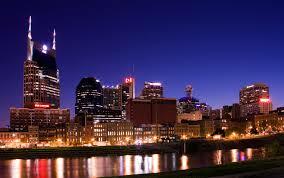 There’s also Bridgestone Arena , The Woods Amphitheater at Fontanele, and The Ryman for more headline tours. 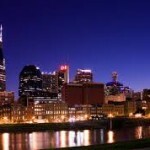 We’ve only begun to scratch the surface with things to do in Nashville this summer. There’s outdoor plays, world class hiking, canoeing, historic tours, the Zoo, one of a kind shopping and dining, and much, much, more! To explore even more things check out these lists of summer attractions.